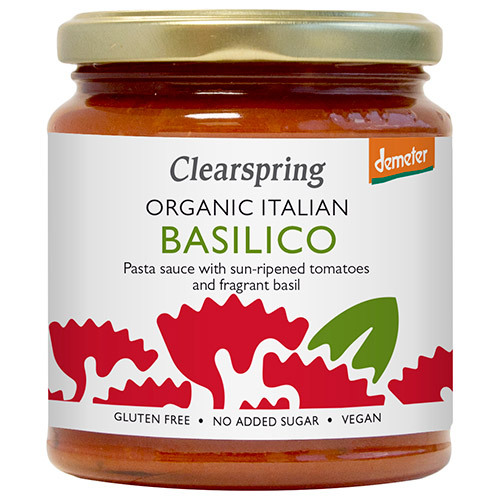 This simple but classic Basilico pasta sauce has been produced directly on a farm in Italy since 1990, using freshly harvested 100% Demeter sun-ripened tomatoes. Made to an authentic Italian recipe. Tomatoes** (87%), onions**, extra virgin olive oil**, carrots**, basil* (1.5%), celery**, sea salt. Below are reviews of Clearspring Organic Italian Basilico Pasta Sauce - 300g by bodykind customers. If you have tried this product we'd love to hear what you think so please leave a review.